While looking at a map of Washington State’s American Viticultural Areas with a couple of customers at Nectar Tasting Room the other night, I came across a soon-to-be AVA just northwest of the city of Yakima called Naches Heights. 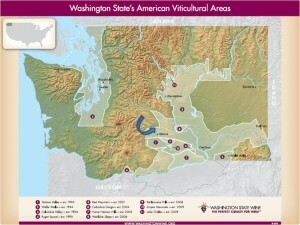 Due to Washington’s abundance of distinctive microclimates, landscapes and soils, eleven official AVAs have been added to the state’s map since 1983. One thing intrigued me about Naches Heights: it will be the first 100% organic AVA in the entire United States. Being the secret Hippie that I am (I buy organic produce whenever possible, and read the ingredient labels on EVERYTHING I buy at the grocery store), I excitedly decided to dive head-first into the subject of just what it will mean for Naches Heights be an organic AVA. I was immediately surprised that a 100% organic AVA didn’t already exist in California, which pioneered the practices of organic and biodynamic grape-growing and winemaking in the US. In fact, Mendocino County has branded itself as “America’s Greenest Wine Region®,” as the numerous AVAs within it contain the largest number of certified organic vineyards in the country. So, what makes Naches Heights unique? 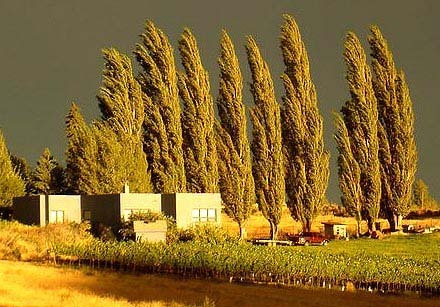 Located within Yakima County and the greater Columbia Valley appellation, the area consists of a 13,254-acre plateau ranging in height from 1,200 to 2,100 feet. One million years ago, the region was formed by a volcanic eruption from what is now the Goat Rocks of the Cascades. Left behind were rocky deposits of Andesite lava. Since then, other volcanic eruptions have filled the pockets in between the Andesite “pillows” with fertile loess soil. Due to Naches Heights’ high elevation and gradual westwardly decline, the grapes enjoy ample sunshine during the day but cool off at night as potentially damaging, freezing cold air flows away. Grapes thus ripen slowly, and the wine produced from them is ultimately more balanced, with less sugar to convert to alcohol and a natural acidity. The soil and climate also contribute to the success of Naches Heights’ organic grapes. Paul Beveridge, Owner and Winemaker of Wilridge Winery, planted a 10-acre test plot there in 2007. Included are 23 different varietals, among them the Spanish Tempranillo, Italian Nebbiolo and Sangiovese, all five red Bordeauxs, Sauvignon Blanc, Riesling, Muscat and two types of Port. All survived 2010’s record cold temperatures, and this year will yield the first full crop. Both Beveridge and Cline believe that nearly any type of grape will thrive, with the exception of warm-climate varietals like Grenache and Mourvedre, and late-harvest. How is organic farming distinct from conventional methods? According to Beveridge, organic farming is “more about what you don’t do: no pesticides, no synthetic anything.” What truly defines the methods used, however, are the certifications obtained by the individual growers. Currently, all of the vineyards on Naches Heights are certified with at least one of the following designations: National Organic Program, Demeter Biodynamic® or LIVE (Low Input Viticulture and Enology). These rather expensive certifications will ultimately protect the credibility of Naches Heights as an organic AVA because, as Cline says, organic farming is “not the easy path,” and it is unlikely that a grower will go to the trouble of obtaining them under false pretenses. Enjoy Naches Heights and Wilridge Wines at Tasting Room Yakima and Tasting Room Seattle. Sulo Abeid is a wine slinger at Nectar Tasting Room and the mother of two. Sulo is a graduate of Gonzaga University and is currently studying for her Masters in business administration at Whitworth University. Sulo’s wine experience comes from her years as the tasting room manager at Lone Canary and work at other Spokane wineries. Wow…great article Sulo! Tremendous work. I’d love to see more of your stuff on drinknectar. Thanks, Benny! Always such a flatterer! Fantastic article and beautifully written. You have quite a flair – hope to see more of your work. For serious!! This is AWESOME news! Great article Sulo, I would like to meet you at some point! That would be great:-). Thanks for the props! Excellent Article Sulo. One point of clarification and you address it tangentially in your last paragraph. The term “Organic AVA” has no meaning. The term cannot be found anywhere in the Federal Register, and there is not even discussion of organic farming methods anywhere in the application submitted by Mr. Beveridge. So, even though Wilridge and others are marketing it that way now, there is nothing stopping “conventional” farming of wine grapes from taking place on Naches Heights. I applaud Paul and Phil for getting the area recognized for its unique geology and meteorology. I don’t neccesarily applaud them using a name that they have invented, that is not part of the AVA process. Thank you for the clarification. That is essentially what my conclusion is in the last paragraph. An AVA is still just an AVA as there is no special designation for an organic one. It is the responsibility of the individual grower to farm organically.